Still not much happening at the legislature. House is still unorganized, so no bills from their side. Governor Dunleavy’s budget will be released on Wednesday. I plan on sending out an early update on Thursday to give a budget recap. 1.Legislation – happenings from last week (February 4-8) on fishery related bills we are tracking. On Monday, February 4, ADF&G Designee Commissioner Doug Vincent-Lang had his first confirmation hearing in front of Senate Resources Committee. Public Testimony was held with callers relaying both support and opposition. Committee recommended the appointment be forwarded to a joint session for consideration. 2. Legislative meetings of interest for this weekend and the week of February 11-15, 2019. SB 22: Shellfish Enhance. Projects; Hatcheries. 3:30 P.M. Senate Resources Committee – Butrovich 205. New language is being introduced today requiring the BOF to conduct annual reviews of Mariculture Activities. The new CS may be found on the meeting page. 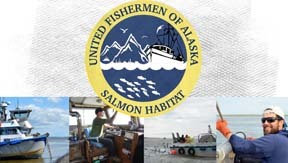 4.Bills related to fisheries, and others that may be of interest to fishermen.